The governments of Uganda and Chad have denied the allegations, as has Mr. Gadio. If convicted, Mr. Ho could face more than a decade in prison. At a hearing in Federal District Court in Manhattan before Judge Katherine B. Forrest, he pleaded not guilty to all eight charges. His lawyer, Edward Y. Kim, declined to comment for this article. Chi Ping Patrick Ho, a former Hong Kong official, pleaded not guilty on Monday to federal charges that he tried to bribe two African officials in exchange for oil rights for a Chinese energy company. Douglas S. Zolkind, a federal prosecutor, told Judge Forrest that “voluminous” evidence would have to be shared with Mr. Ho’s lawyers, including “several hundred thousand documents consisting of emails and attachments” from more than 10 accounts that prosecutors received warrants to search. Many of the documents are in Chinese, and some are in French. He also estimated that “multiple thousands of pages of bank and financial and wire records relating to multiple different entities” would need to be shared, along with about seven boxes of paper documents and information from 11 phones, four computers, a camera and other equipment seized during a search of the energy organization’s offices in Virginia; data from two cellphones, an iPad and multiple USB drives seized from Mr. Ho; records from three iPhones, a Samsung phone, and multiple USB drives and SIM cards seized from Mr. Gadio. Mr. Ho’s lawyers on Friday asked Judge Forrest to allow Mr. Ho to live under house arrest, with electronic monitoring, on a $10 million bond, with an agreement that he waive extradition, to minimize the possibility that he might flee. 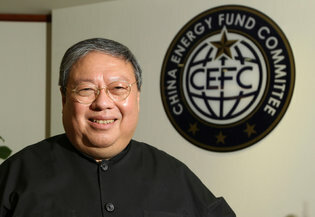 The case has received coverage in China, where CEFC, a once-obscure company, has become a major energy player, with investments in Europe, the Middle East, Central Asia and Africa. CEFC is one of a small number of Chinese companies to receive Beijing’s approval to pursue high-profile deals at a time when the government has largely restricted overseas acquisitions.